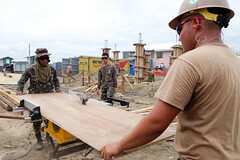 U.S. Third Fleet conducted a two-day scene setter over the weekend for the multinational and interagency participants of exercise Rim of the Pacific's humanitarian assistance and disaster relief scenario. 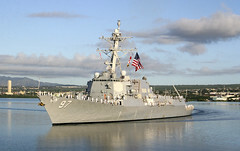 The guided-missile destroyer USS Halsey (DDG 97) will depart Joint Base Pearl Harbor-Hickam July 7 for a deployment to the 7th Fleet area of operations. 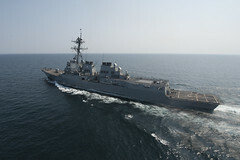 The Japan Maritime Self-Defense Force ship, carrying a multinational crew of U.S., Australian, Malaysian and Japanese personnel, arrived in Tacloban, Philippines, July 4 for the final phase of the 2014 mission. 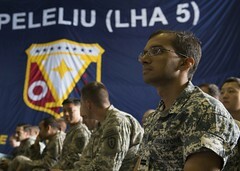 A newly released scientific report demonstrates the viability of a new method to estimate received sound levels during real scenarios and analyzes movements of satellite-tagged individuals of three species of marine mammals exposed to Navy mid-frequency active sonar around Kauai's Pacific Missile Range Facility (PMRF). 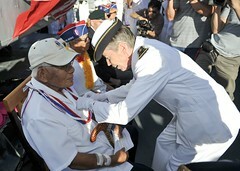 Seven World War II veterans from Hawaii received the French Legion of Honor aboard the French frigate FS Prairial (F731), July 2. 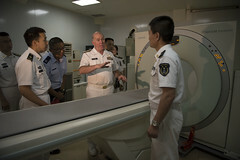 Commander, U.S. Third Fleet (C3F) hosted the inaugural Rim of the Pacific (RIMPAC) Military Medicine Symposium aboard the USS Peleliu (LHA-5) at Joint Base Pearl Harbor-Hickam July 1-2. 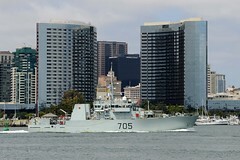 The guided-missile destroyer is set to return to Naval Base San Diego July 3 from a seven-month deployment to the Western Pacific. 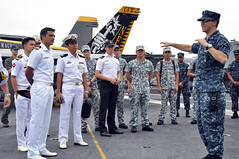 The USS George Washington Carrier Strike Group (GWCSG) departed Singapore after a four-day, goodwill port visit, June 30. 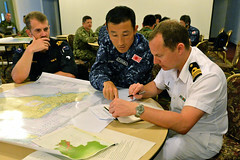 Commander, Naval Mine and Anti-Submarine Warfare Command (NMAWC) will exercise the mine countermeasures tactics of local and international forces during Rim of the Pacific (RIMPAC) 2014.